It’s that time of year again. Fall is here. Kids are back in school. Not ready to say goodbye to summer? Just visit spots where you can make a splash and feel like it’s summer all year round. 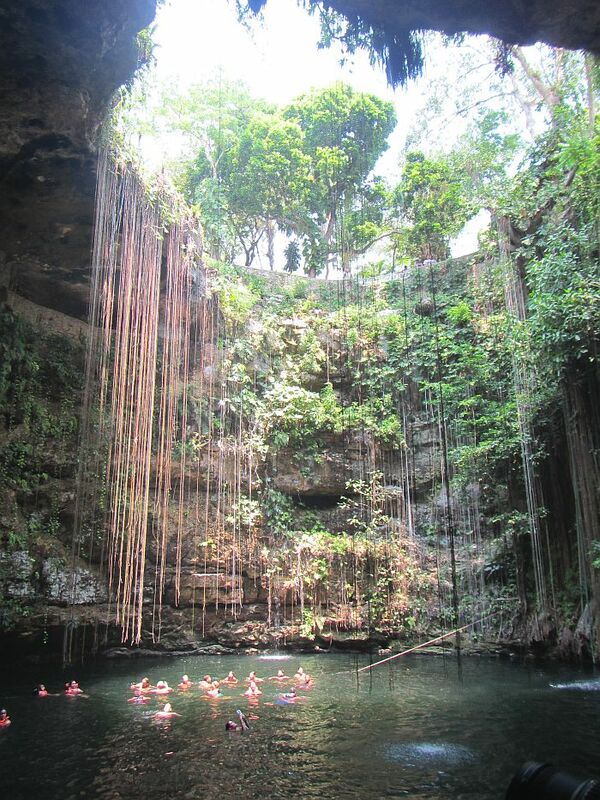 Located in between Merida and Cancun in Mexico’s Yucatan region, Cenote Ik ‘Kil is just a few miles from the Mayan ruins of Chichen Itza, making the pair a popular and easily doable daytrip. When you peek down for the first time, it’s hard to walk away from the view, but keep going because it’s even better from below. Staircases lead you down to water level. Sunlight, dangling vines, and waterfalls, stream down. 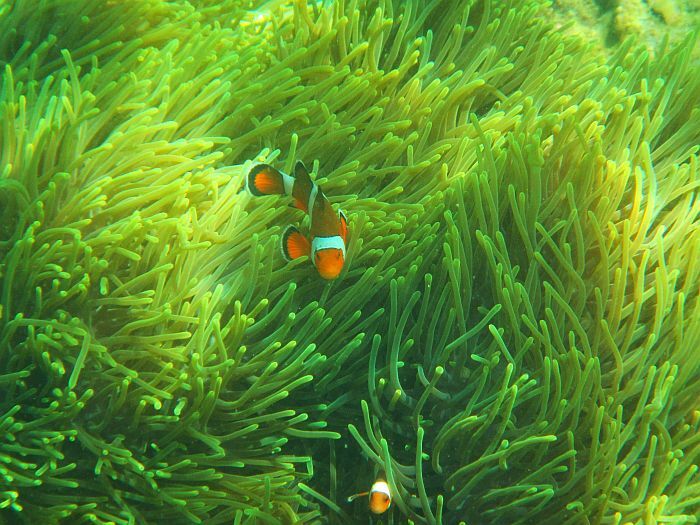 There’s even some fish in the bright blue water to keep you company. Go early to avoid the crowds. 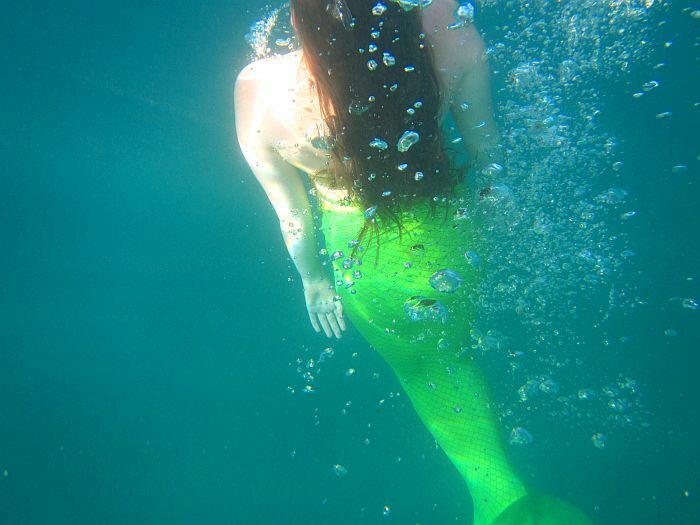 Or Maui.. where you can take lessons to learn how to swim like a mermaid with Hawaii Mermaid Adventures. Getting the tail on atop your swimsuit takes a bit of wiggling, but then you’re off and swimming. Instructors sink hula hoops and teach wannabe mermaids all sorts of tricks. For some folks it’s natural, for others (like me) it takes a little getting used to. Lessons are typically held first thing in the morning, in quiet Makena Landing in South Maui (near Wailea). 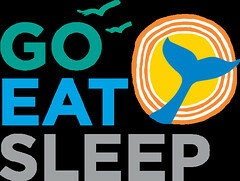 During whale seasons, when you dive down, pay attention, you might be able to hear nearby whales singing. Instructors take all sorts of pictures of mermaid wannabes in the water, and those photos are emailed to you after your lesson at no additional charge. Mermaid tails come in all sizes, so yes mer-men can join in the fun if they wish. Up next Krabi, in Southern Thailand. 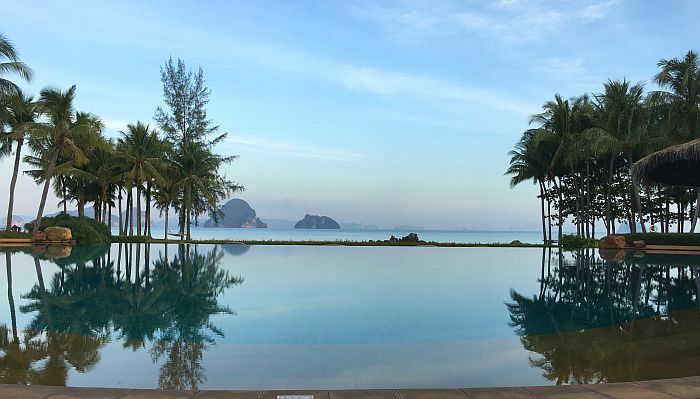 This is the view from the main infinity pool at Phulay Bay, a Ritz-Carlton Reserve. Tough to beat the property’s seaside locale, right? The only thing better, you can actually head out to that view. Phulay Bay runs daily complimentary shuttles to Hong Island using traditional Thai long boats. Beach to beach, the ride takes 15 to 20 minutes. You can lounge on the sand, swim, or snorkel. Southern Thailand is known for island hopping. Hong Island is one of many landing spots. 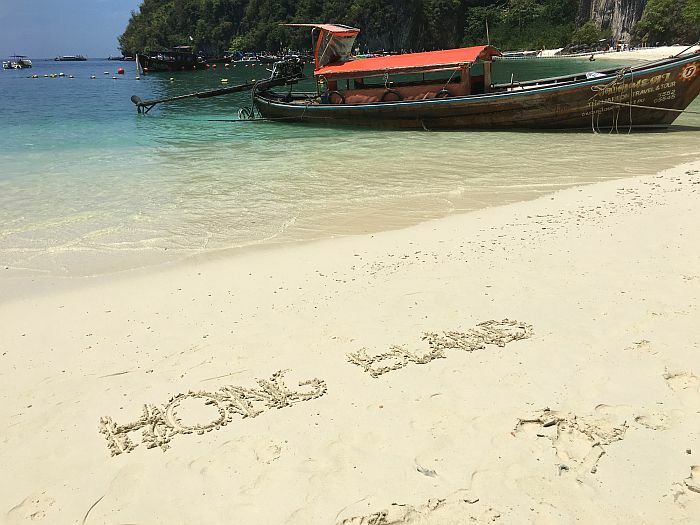 It’s a bit lesser-known than say the Phi Phi Islands, but still popular. Go early and when you’ve have enough sun, you can wave goodbye to the crowds as they pour on to the island. What about Wine Country? That’s right Wine Country. 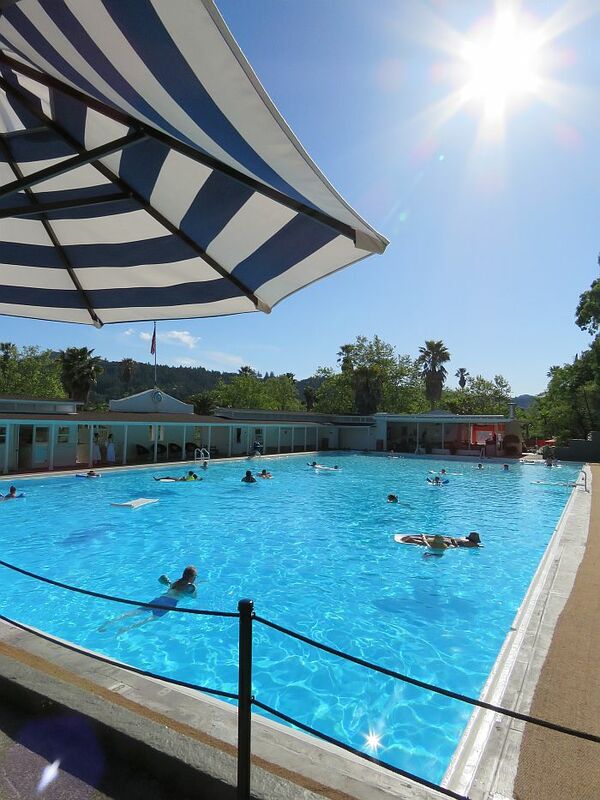 Napa Valley’s Calistoga is famous for its mineral hot springs. Originally built in 1913, there’s history here, and just across Lincoln Avenue, Calistoga’s main street at Dr. Wilkinson’s Hot Springs Resort. Wilkinson’s dates back to the 1950s, when a San Francisco native headed north. 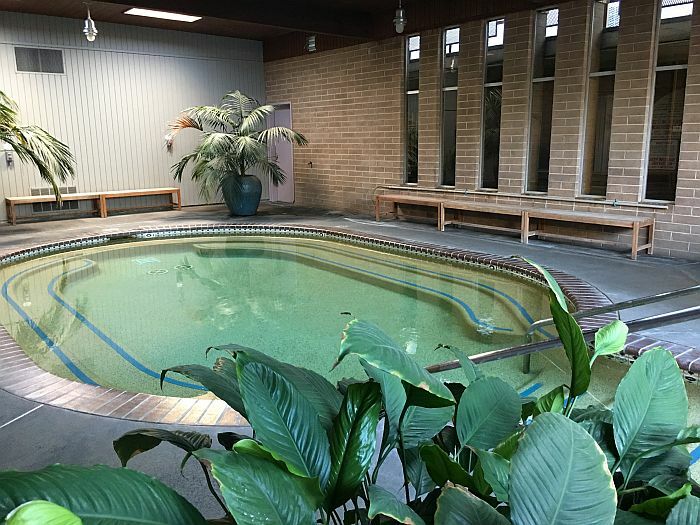 It has three mineral pools, two outdoor and one indoor. It’s still owned and operated by the same family. Previous Previous post: Hello Havana!